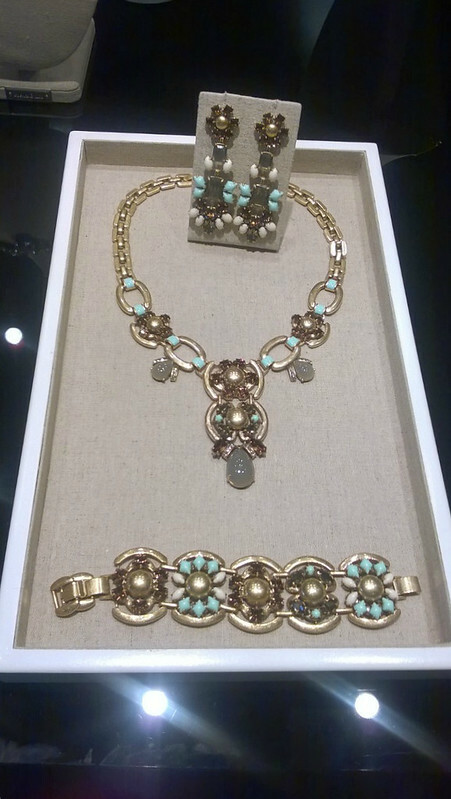 Stella and Dot recently launched in Ireland after gaining worldwide success as a company that design beautiful boutique style jewellery and accessories. The thing that sets Stella and Dot apart from their competitors is that their pieces are only sold at in-home Trunk Shows by Independent Stylists and online. I was recently invited along to the press day to take a look at the collection for Autumn/Winter and I was so excited by all of the new pieces. The collection takes inspiration from all over the world and some of the trends include mixed metals, geometrics, black and white and rose gold. The Livvy Necklace, Melanie Chandelier Earrings and Becca Bracelet were among my favourites on the day. I love the colours in these pieces and I loved that the earrings can actually be worn as studs or as shorter drop earrings. 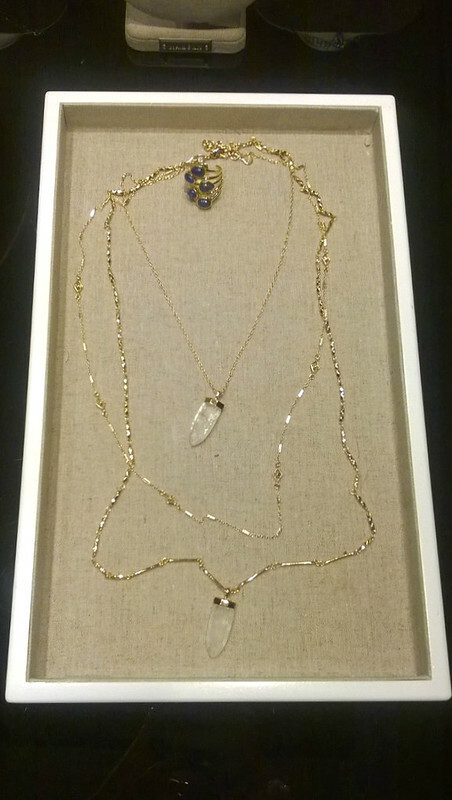 The Sutton Necklace now comes in gold and is such a versatile necklace as the layers are detachable so that you can wear it five different ways depending on the look you're going for. It also comes in a mixed metal version. 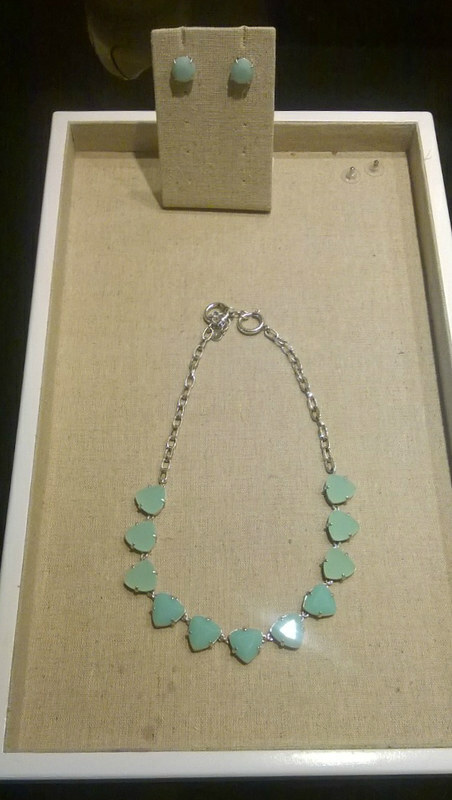 The Somervell Necklace was already available in Gold, Peach and Silver and the latest addition is this gorgeous Aqua shade. 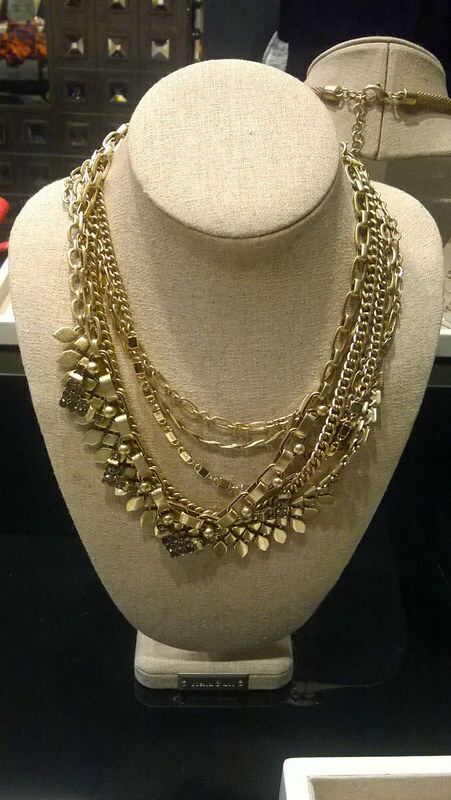 This is a great necklace for layering. The matching Janice Studs also come in Green and Orange. 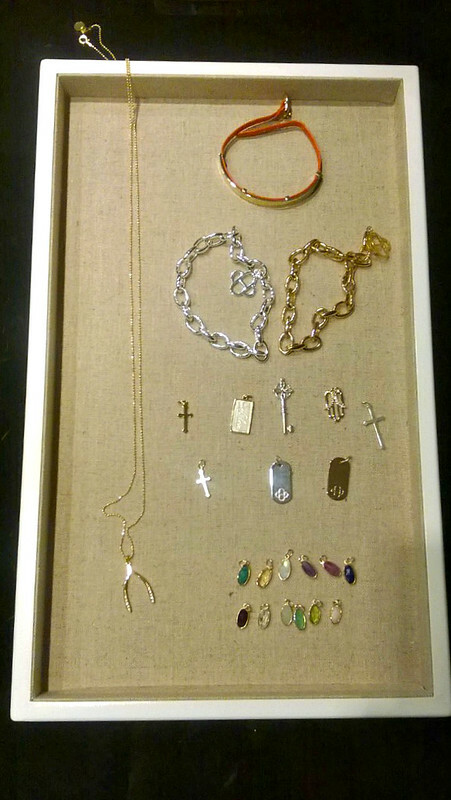 I was really excited by the Charm Bracelets and Necklace that allow you to choose from the following to personalise your jewellery: a Birthstone Charm, a Cross in Silver or Gold, a Key, a Wishbone, a Hamsa Hand, a Love Always Charm and a Signature ID Charm in Silver or Gold. These make for such lovely gifts and you can see here the other charms that are available. The Enlighten Bracelet is such a great gift idea. It is embossed on the inside of the red leather band with the words Mother, Daughter and Sister in French, English and German and all net proceeds go to Every Mother Counts, a non- profit organisation that is dedicated to making pregnancy and childbirth safe for every mother. 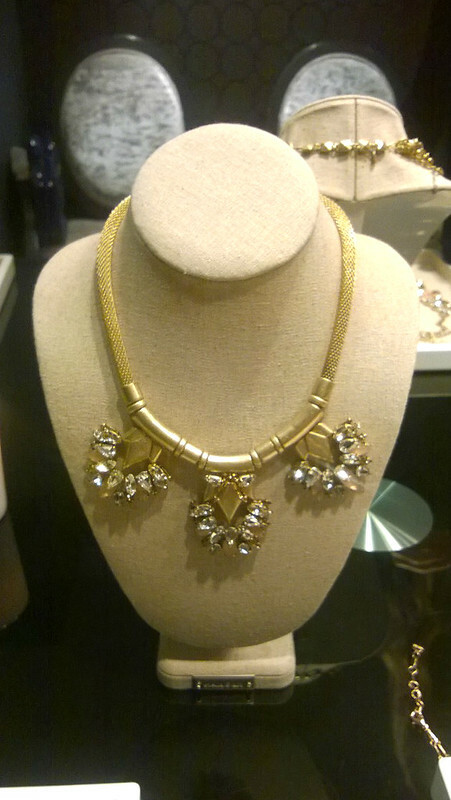 The Cassady Collar is a mixture of trends with it's mixed metals and Geometric Studs. The Pauline Ring is set with five semi precious lapis stones and comes in a number of sizes. I love the delicate Aria Pendant which can also be worn multiple ways. It contains semi-precious quartz stones. 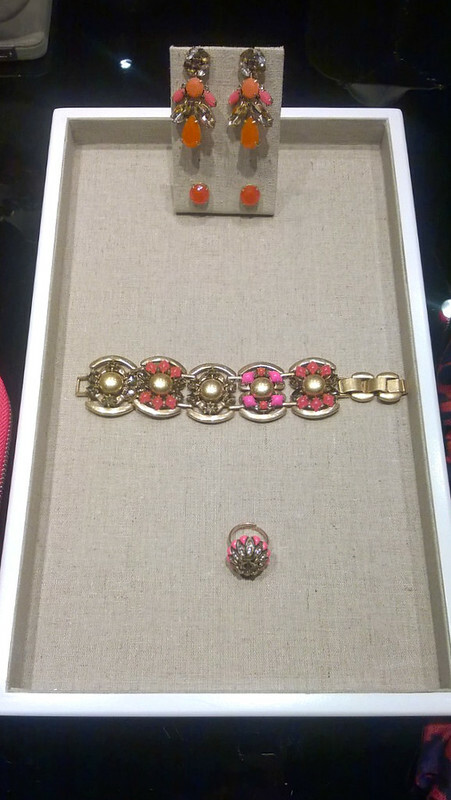 The Melanie Bracelet also comes in this gorgeous combination of pink and orange with matching Pop Geo Chandelier Earrings (that can also be worn as studs) and the stunning Rosanna Ring. The Pop Geo Statement Pendant is such an unusual piece for Autumn/Winter, I love that the design team have added these vibrant colour into the collection. 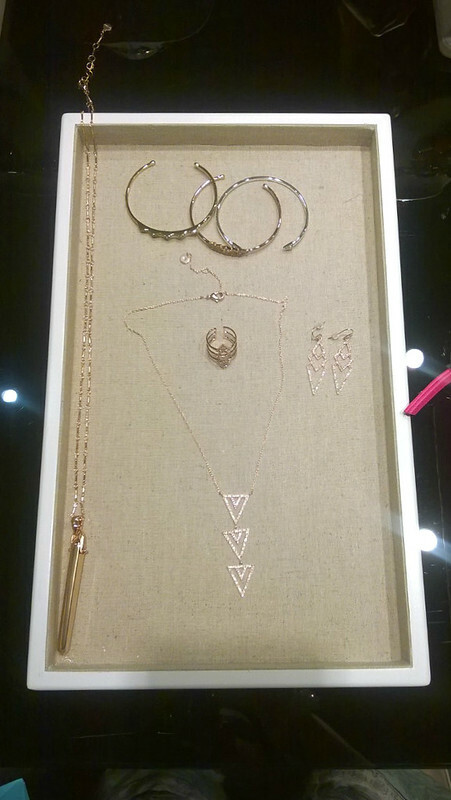 Geometric shapes and Rose Gold are combined with the pretty Pavé Spear Collection which includes a Ring, a Necklace, Earrings and a Cuff. 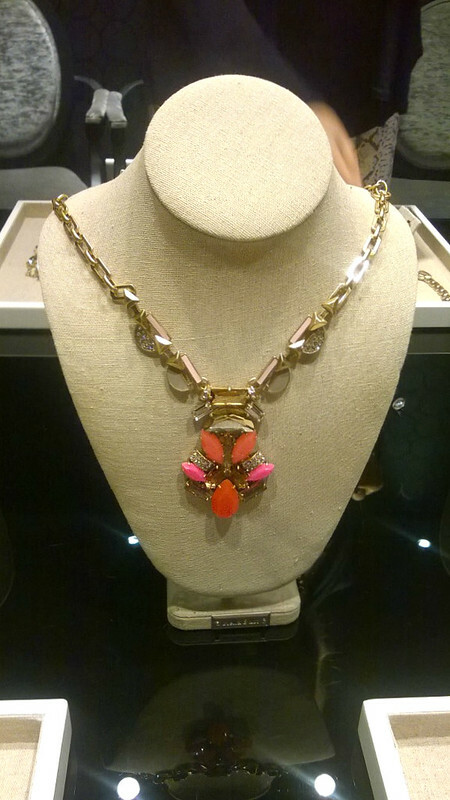 The popular (and my personal favourite) Rebel Pendant has also been introduced in Rose Gold. 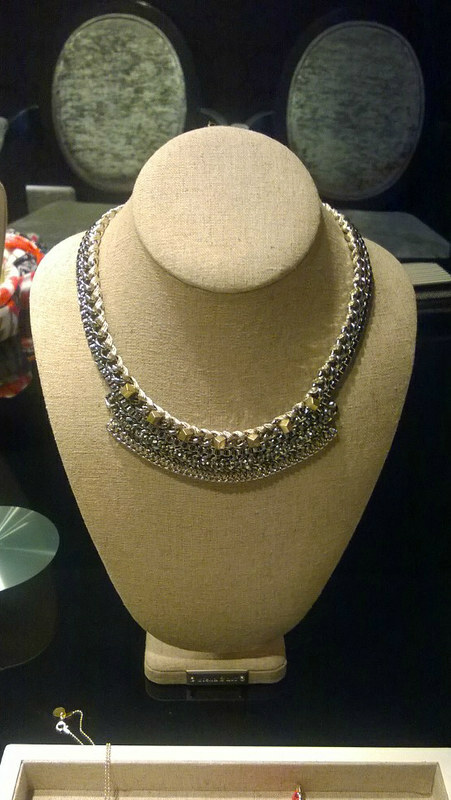 Last but not least is the beautiful Helena Necklace with such pretty pink and beige stones, again an unusual colour combination for Autumn/Winter. This is just a selection of the new pieces, you can see the rest here. Is there anything that caught your eye from the new collection? I want that wishbone charm necklace! same here! Love their stuff, amazing quality!